SafetySearch is a browser plug-in which informs you about malicious websites so that the computer does not get infected with viruses and various malicious programs. The program is free of charge and compatible with Internet Explorer, Google Chrome, and Mozilla Firefox. SafetySearch is accessible on the official website, which is safetysearch.net, and which you should review carefully before downloading the program because SafetySearch is an ad-supported program. 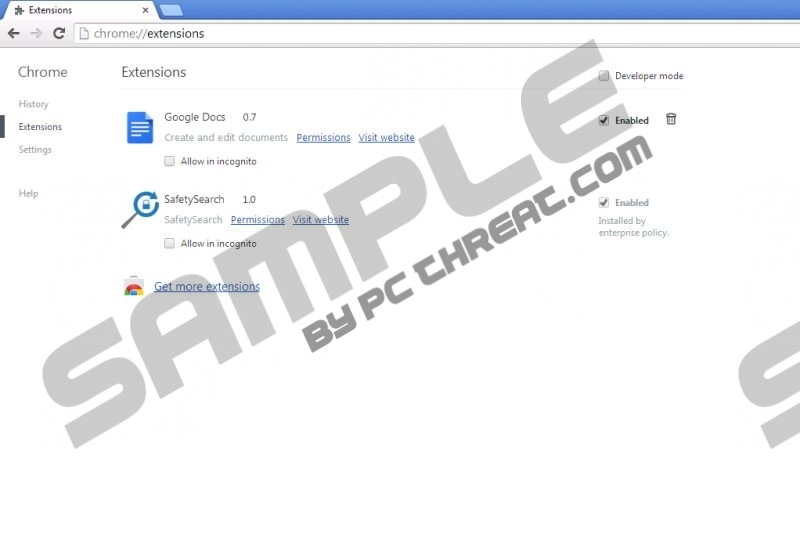 SafetySearch is categorized as adware and added to the detection lists of certain anti-malware programs. SafetySearch is developed by Smart Apps, also known as Enchanted Apps, 215 Apps, Exciting Apps, Engaging Apps, etc. SafetySearch is akin to Lighting Savings, SlamDunk Savings, and some other programs. If you have installed SafetySearch by accident and want to remove it from the browsers, do it immediately. During the installation of the adware program, BenchUpdater, which is an adware helper, is installed. The function of this program is to alter the hosts file of the operating system and search for updates. Both SafetySearch and BenchUpdater can be easily removed by SpyHunter, which is a reputable spyware and malware prevention tool. We recommend that you rely on an anti-malware program because SafetySearch is monitoring your online behavior and may be using several tracking techniques. It is important to fully remove the adware program, including the files associated with the program, so that no pop-ups are displayed and no information collected. SafetySearch is capable of recording clicks, search terms, browsing history, browser settings, browser type, time spent on various websites, and other non-personally identifiable information. SafetySearch does not collect personal information purposely, but some information could be collected without your knowledge. If you want to prevent targeted advertisements and be sure that you are safe on the Internet, implement our recommended program, which will remove SafetySearch for you and fight off various computer infections, including Trojan horses, rogue anti-virus programs, browser hijackers, ransomware, etc. In case you have any questions concerning SafetySearch, feel free to leave a comment below. Select Uninstall a program and remove SafetySearch. Select the Add or Remove Program option. Click Uninstall a program and remove SafetySearch. Quick & tested solution for SafetySearch removal.